Terry McMillen is a veteran Top Fuel driver in the NHRA Drag Racing Series. He knows that you are going to have ups and downs in a sport that can change in a matter of a second. McMillen’s team is 2-9 in round records this season. Both of his round wins this season has come in recent weeks. At Heartland Park Topeka, he upset Steve Torrence in the first round after going 13 race weekends without a win. This past weekend, he also beat J.R. Todd in the first round of the Ford NHRA Thunder Valley Nationals. 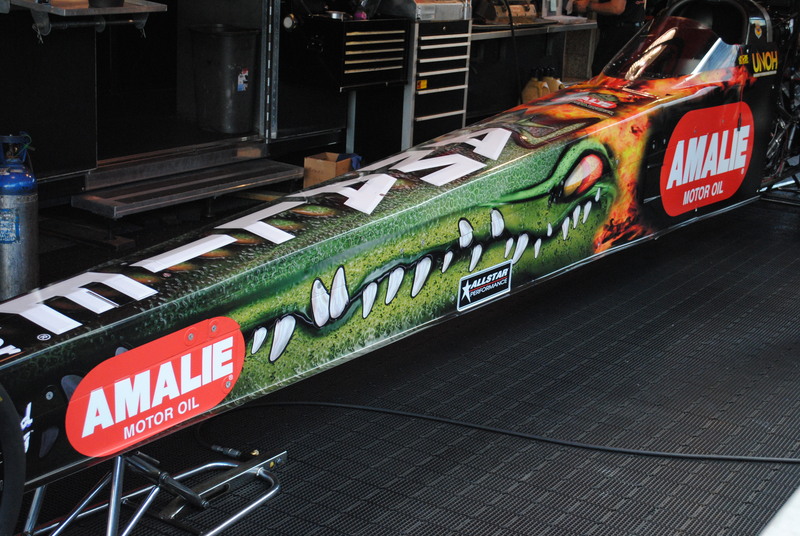 The Amalie Oil Top Fuel dragster team started the season with a six-disc clutch. After struggling, they have been using a five-disc clutch since the NHRA Southern Nationals in May. Since the change, his team is 2-4 in the last four races. 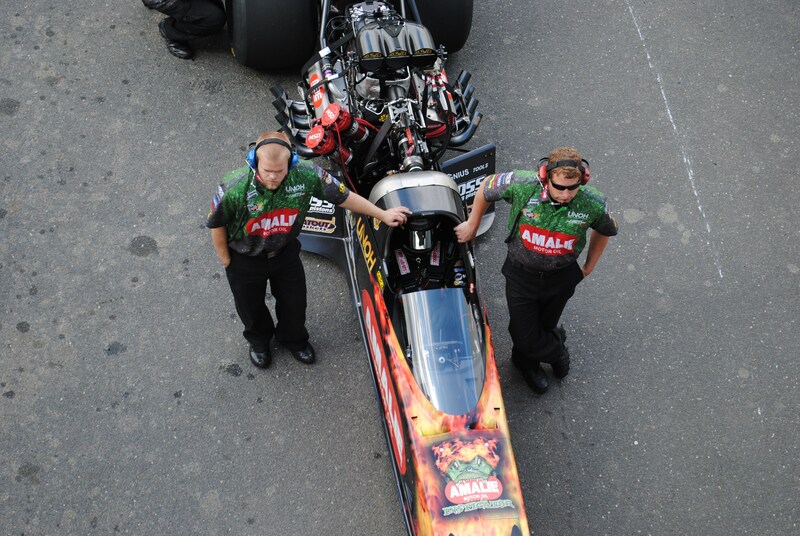 The team also made a switch in its manifold, as well, by using a John Force Racing manifold. This team does not have the budget that many other bigger teams have. Many of their qualifying runs are their test sessions to gather data for their car. Since the MacTools US Nationals, McMillen’s team has lot a lot of money. In fact, when his team losses in the first round, they make no funds at the race, and his crew has a hard time supporting them selves, and their families. This season, he has faced Steve Torrence five times in the first round. Shawn Langdon has faced McMillen in the first round twice, while he has faced Tony Schumacher and J.R. Todd in the only first round match-ups. He also had a DNQ at his sponsor’s home race when they raced at the 45th annual Amalie Motor Oil NHRA Gatornationals in March.